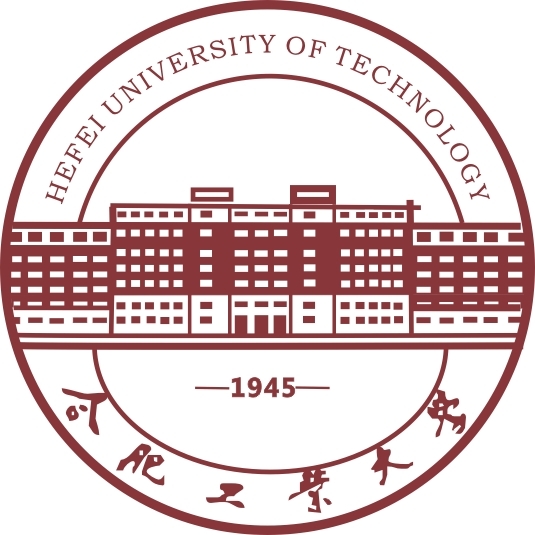 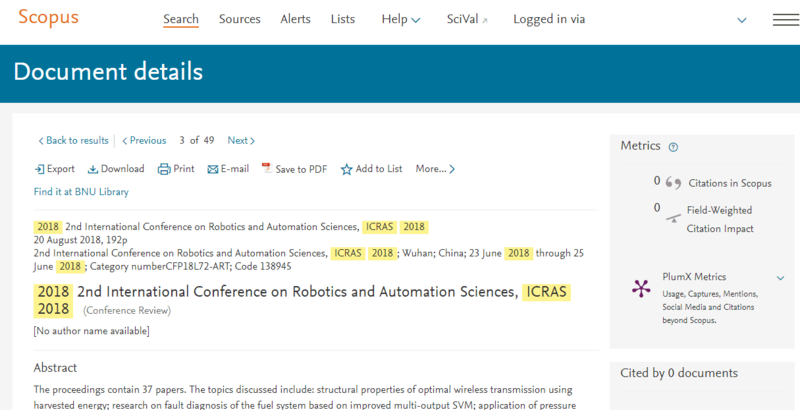 2019 3rd IEEE International Conference on Robotics and Automation Sciences will be held during June 1-3, 2019 at China University of Geosciences (Wuhan) in Wuhan, China. 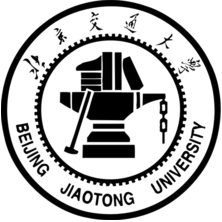 It's organized by IEEE and China University of Geosciences (Wuhan) School of Mechanical Engineering and Electronice Information. 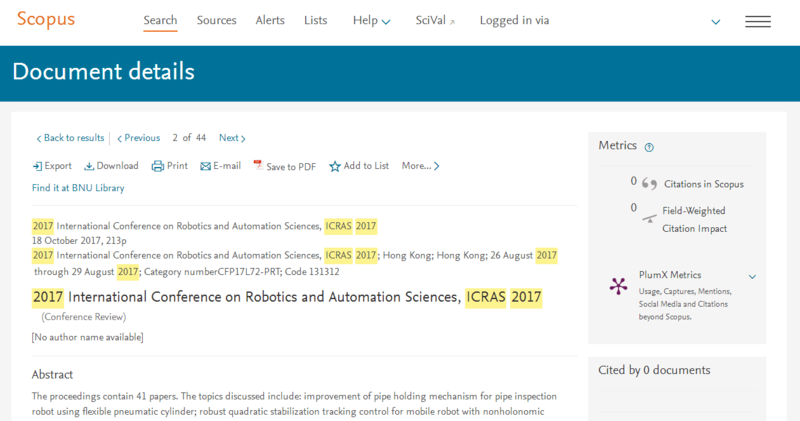 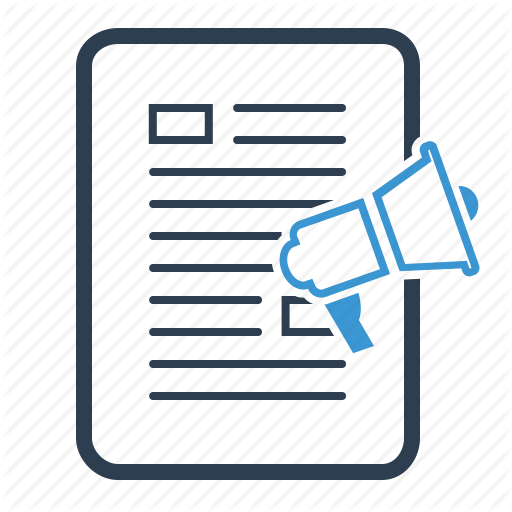 Accepted papers will be published into conference proceedings by IEEE, which is the same with the last two years. 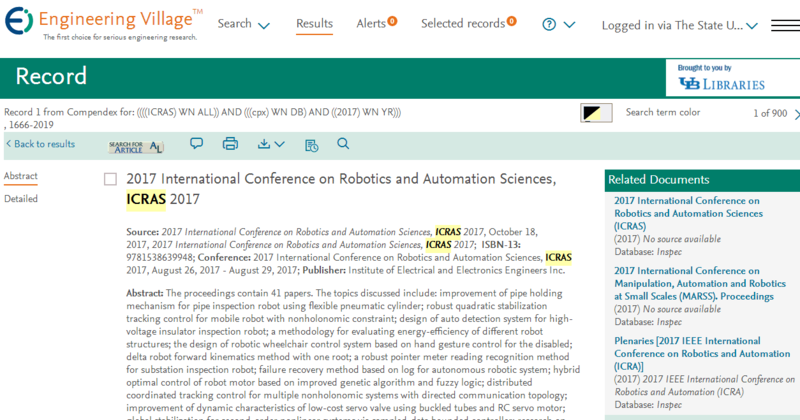 The proceedings will be submitted and reviewed by the IEEE Xplore and Ei Compendex and Scopus after the conference.